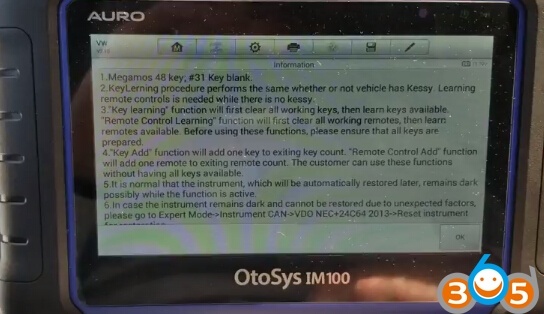 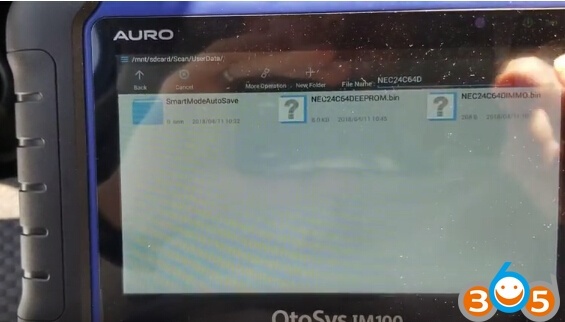 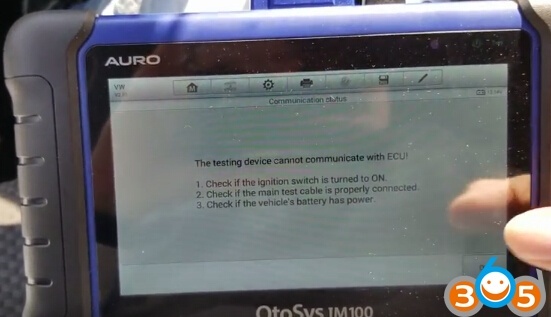 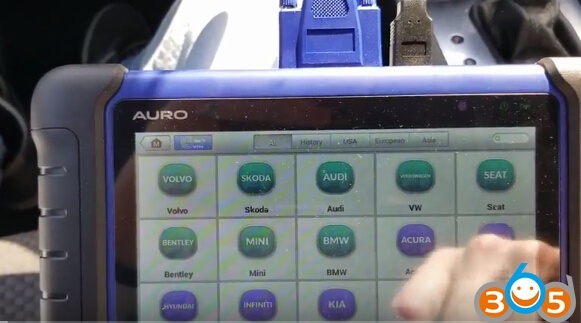 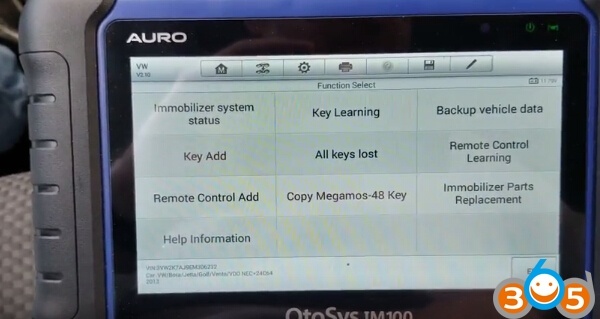 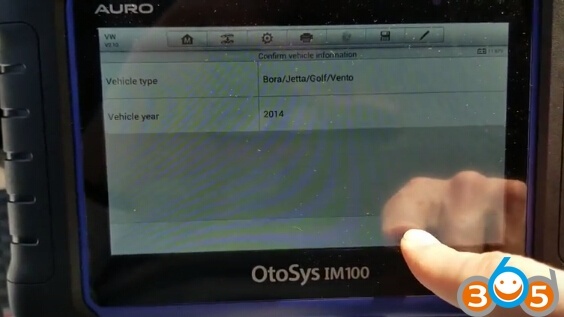 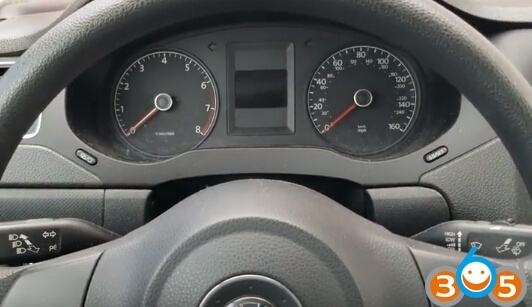 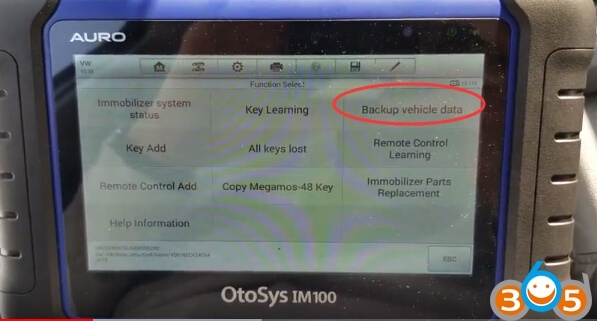 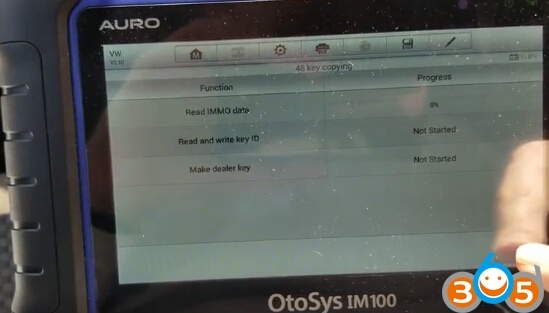 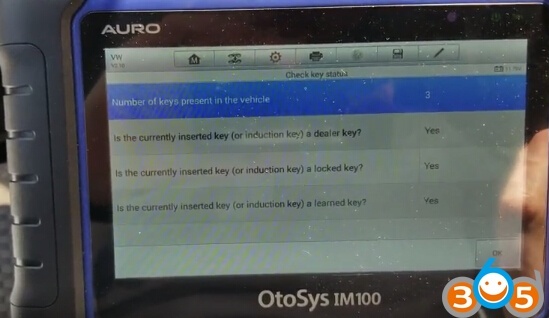 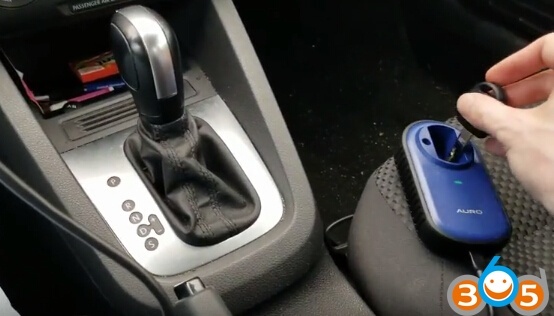 How to: clone an original key onto a KeylessGo 48 transponder and add a key to a 2014 Volkswagen VW Jetta 4th generation immobilizer NEC24C64 using the Auro OtoSys IM100 / IM600 tablet key programmer via OBD. 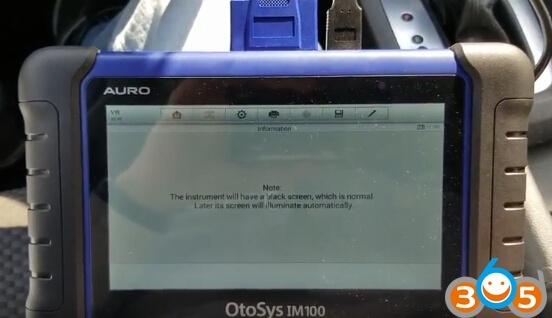 The instrument will have a black screen which is normal phenomenon. 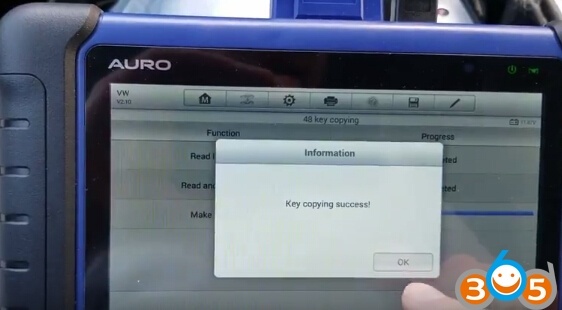 It will reset automatically when read data success. 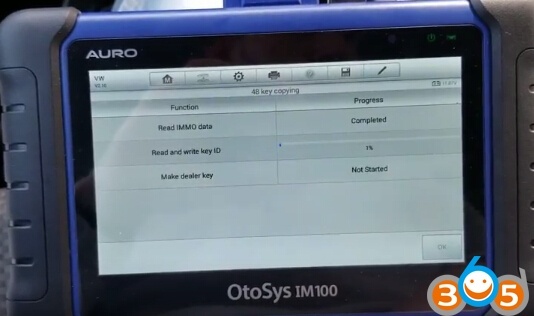 IM100 read EEPROM and then IMMO data. 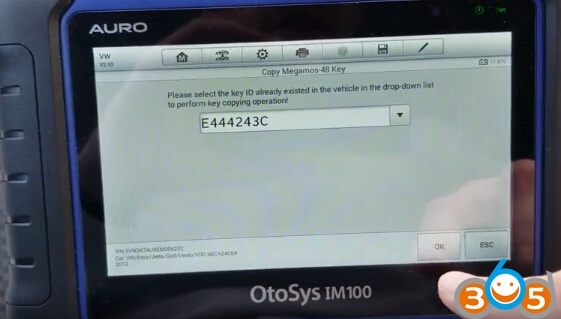 Add a key to a 2014 Jetta using the IM100 / IM600 without deleting existing keys. 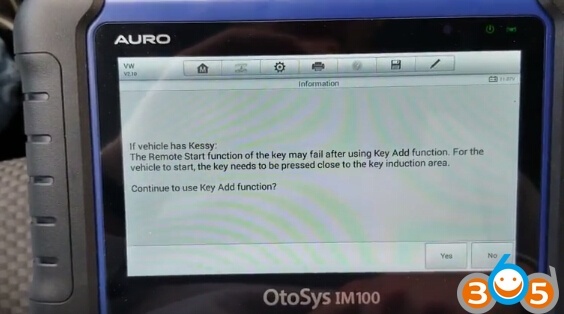 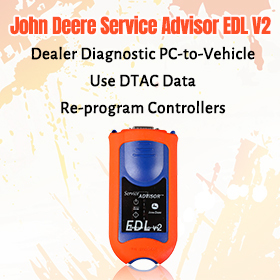 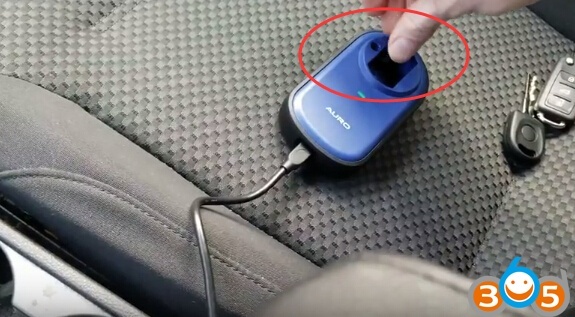 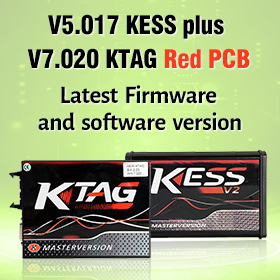 The remote Start function of the key may fail after using Key Add function. 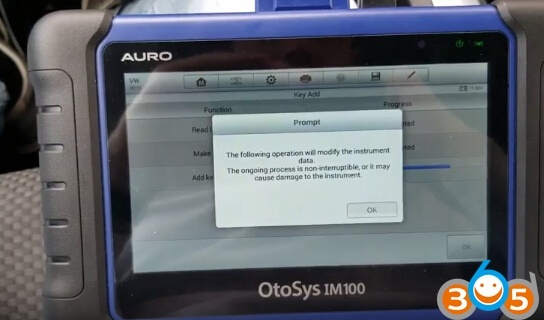 The following opeartion will modify the instrument data. 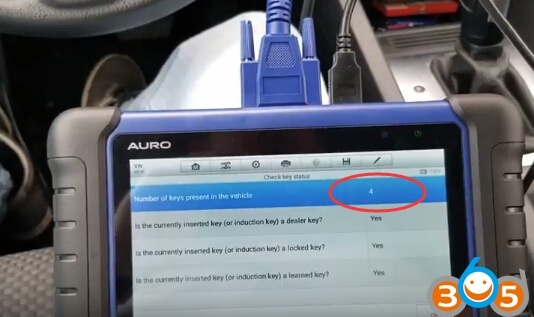 Now you have 4 keys in car. 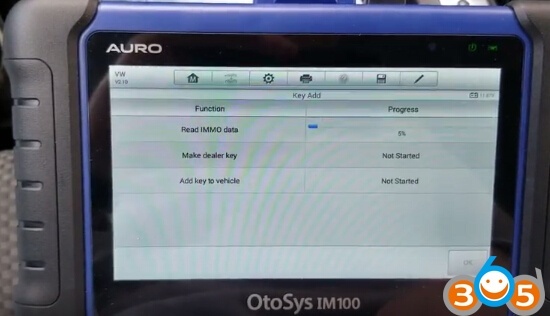 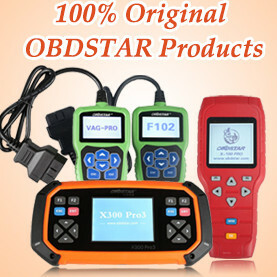 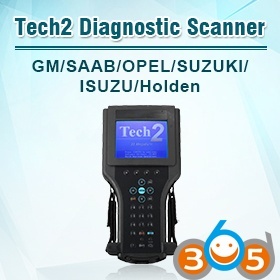 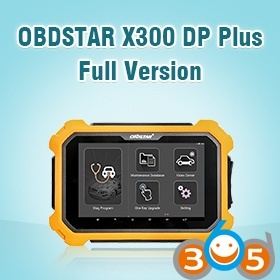 Test the new key and start car.